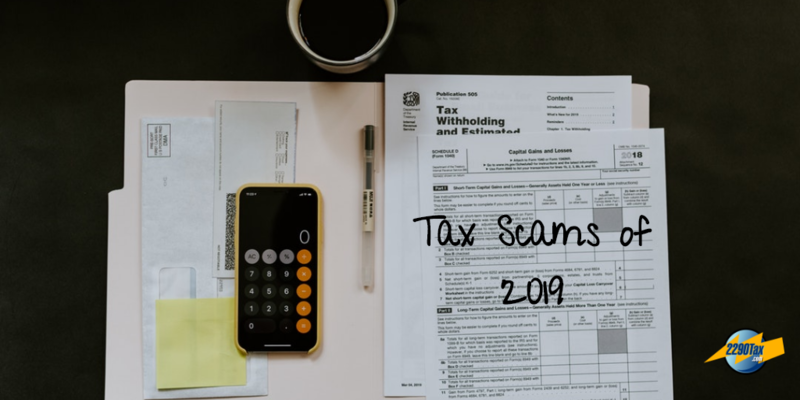 The IRS has published the top Tax Scams of 2019, warning taxpayers that these scams increase during tax season, however they are ongoing throughout the year. Here is a run through of the top 12 scams of 2019 called the “Dirty Dozen”. It has always been tough for Canadians to make American Tax Payments. Not only because they wonder why they are paying Federal Taxes from the USA, or why Americans’ don’t pay a similar tax to use Canadian roads, but also because the Treasury won’t pull funds from a foreign bank through either an ACH or a check. So What’s a Canadian to Do? For the first time in 2290 e-Filing history, the IRS e-File shutdown and the partial government shutdown has left 2290 tax payers with no options to submit the HVUT. Hello! We want all of our users to experience 2290 e-Filing as a simple, fast, and secure process. With this I bring you the Step by Step 2290 e-File Instructions guide, each step has been broken down. Check it out! Urgent: IRS Annual Shutdown is set to begin 12/25. What does IRS Annual Shutdown mean? During this time IRS will not accept your online 2290 submissions. IRS is preparing for the new year, implementing updates to their programming, and fixing problems. All this has to be done, then tested, and only after they KNOW it’s working do they turn the computers back on for electronic filings. Need your 2290? File now before e-File systems shutdown! The preparer tax identification number (PTIN) is required for those who prepare or assist in preparing federal tax returns for a fee. A paid preparer must have a valid PTIN before preparing returns. Failure to do so can mean facing high penalties if audited by the IRS. You can avoid inconvenient and costly run-ins with IRS by obtaining your very own PTIN. It’s easy and now FREE to apply for the PTIN. Follow our PTIN Application How to Guide below! Preparer tax identification number (PTIN) renewals are now being processed. It is required by federal law that anyone who prepares a federal tax return for a fee must have an active PTIN. You can face high penalties if you don’t. PTIN renewal is easy and now FREE. Follow our PTIN Renewal Step by Step Guide below. Did you get a notice from the IRS? Have you already looked it up in our IRS Notice Decoder? Are you still unsure what to do? The IRS, IFTA and IRP are assisting carriers affected by Hurricane Florence through emergency waivers and tax relief and assistance. Check this page frequently, as updates are posted as soon as they are received. Kentucky, In response to Hurricane Florence, Kentucky has suspended registration requirements and put in place exemptions of hours of service and stoppage in weigh stations. Virginia, Virginia has granted a temporary waiver of registration and licensing requirements and normal weight and width restrictions for vehicles transporting essential emergency supplies and services in response to Hurricane Florence. Alabama, Alabama has ordered the temporary suspension of IRP and IFTA requirements for motor vehicles engaged in disaster relief to areas affected by Hurricane Florence. Georgia, In response to Hurricane Florence, Georgia is granting a temporary suspension of hours of service and will be issuing permits for vehicles operating outside the normal weight, height and length restrictions. Tennessee, Tennessee has granted a temporary suspension of IRP and IFTA requirements for any motor vehicle traveling through Tennessee engaged in disaster relief efforts. New Jersey, New Jersey has granted a temporary waiver of IRP and IFTA requirements for any motor vehicle traveling through New Jersey engaged in disaster relief efforts. The following are notifications and alerts released by Colorado IRP. This page is updated frequently, check back for new updates. August 9, 2018 – Colorado Data Errors – Colorado has identified 5600 registrations that will show incorrect data when queried. Click here to see the memo for more information.